Brief mention should be made at this point of a Baltic German who arrived in Canada in 1926, although he did not, as far as in known, live in Alberta, instead settling in Manitoba. This man has done much after World War II to help Baltic-Germans in coming to Canada, and in getting themselves established. He himself was instrumental in the founding of the Canadian Baltic Immigrant Aid Society (C.B.I.A.S.). Although all of this work was carried out in Ontario, no history of the Baltic Germans can be complete without mentioning his name. Paul Balthasar von Behr served in the Russian cavalry as Staff Captain and moved to Germany after the war. In 1926 he came to Canada, his wife following a year later. Paul von Behr first worked on a farm near Gretna, Manitoba, south of Winnipeg, near the American border. Gretna had been a settlement of the Volhynian-Germans since 1898, and at the turn of the century was dubbed “the German capital of Manitoba”, with 85% of its population German Mennonites at the time of Baron Behr’s arrival. (131) It was a hard year; Baron Behr suffered in an accident on the farm and lost his job. He went to Winnipeg and, unable to speak the language, turned to the German Lutheran pastor for help. When Meta von Behr arrived, they opened a small bakery business; buying bread from the large bakeries and selling it door to door. At the same time, they worked a small farm. After five hard years, Paul von Behr accepted the post of Chief of Police for Tuxedo, a suburb of Winnipeg. (132) This position, in which he was very popular, with its steady work and an assured income, carried the family through the depression years. Paul and Meta von Behr had two daughters: Dagmar and Rita Marina. Dagmar Baroness Behr was born on July 1, 1919, at Rostock, German. 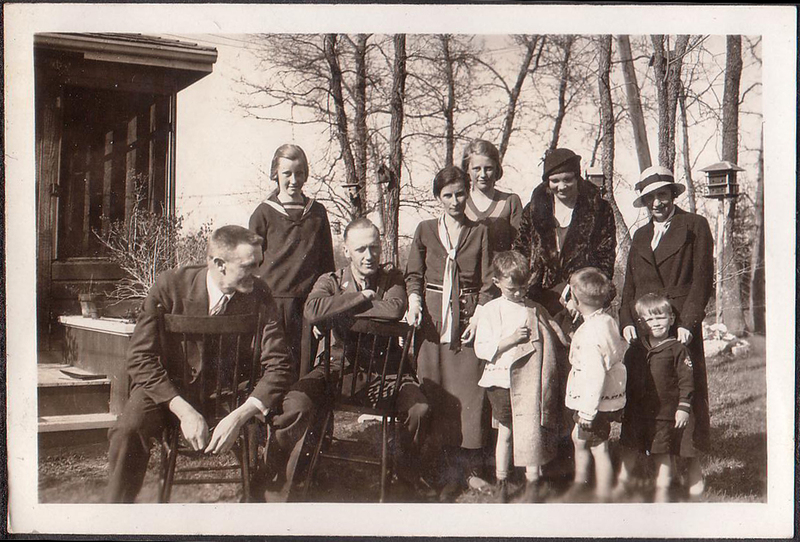 She grew up on an estate in Klein-Gischow in Mecklenburg, but in 1931 followed her parents to Canada. She attended school in Winnipeg and then worked for physicians in Winnipeg, Montreal, Ottawa, (London and Vancouver). In 1951 she married Frank Devick, a rancher of Swiss-English parentage. They own a ranch near Kamloops, B.C., with 500-600 head of cattle. Although Dagmar grew up here and considers herself completely Canadian, she also is at ease among Baltic-Germans and enjoys their company. Since 1952 the Devicks have given Baltic and German boys the opportunity of living and working on their ranch, and they come from as far away as Germany to do so. Dagmar and Frank Devick have three children: two sons, Arthur and Paul, who work on the ranch, and one daughter, Marina. 133.B.B., no. 10 (288), 1972, p. 9. Per MF Kuester’s last sentence in the excerpted essay about Baltic Germans, the von Kugelgen in question is Waldemar von Kugelgen, 1898 – 1980, who married Valborg Mereta Leland, of Kenyon , MN. Waldemar died in Berkeley, California, where he lived with his second son’s family. Mallory, this is remarkable you’ve found this article! Thank you for sharing this information 🙂 I’d love to hear more, feel free to contact me to talk. Hello Paul, I will have to look through my archives to see if I’ve got a hard copy, too. See where it was made and who published it. I think, if I remember correctly, I’ve just got a scanned excerpt from this.